Kayla is a 16-year-old girl who was adopted when she was little. She lives a normal life, with great friends, loving adoptive parents, and well... a not-so-great boyfriend. But the reason why she was given up for adoption was far from any usual reason. She was meant to be kept away from the Academy and anything else related to the supernatural beings that could hurt her. Unfortunately for Kayla, it was only a matter of time before she encountered the creatures from the Otherworld, and there is just no running away from the beings that she can now see. In trying to protect Kayla by keeping her away from the Academy, she may have just been put in even more danger. 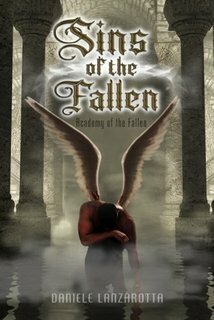 The Academy has always been the home of fallen angels and haunted humans, but that is about to change. 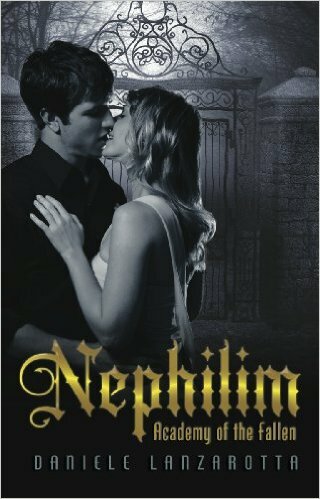 Hunter and Kayla, the immortal and the Nephilim, find themselves trapped in a place that they hate... with beings that they do not trust. 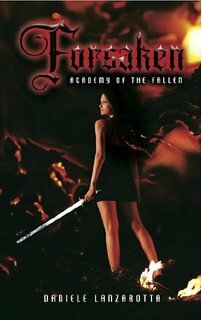 Inside the Academy they are surrounded by fallen ones... the screw-ups... Outside, the Academy is surrounded by demons and ghosts who are trying to get in, including an incubus who has a history of tormenting Kayla. 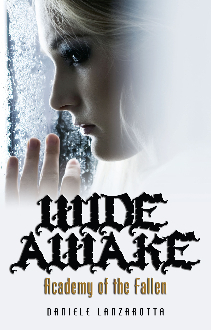 As Kayla is forced to learn about what she is... about what she was born to do, Hunter only has one thing in mind. Hunter wants to get Kayla out of the Academy, but leaving the Academy's protection will put everything and everyone at risk... themselves included. "In this world, there is a reason why the Fallen ones are getting a second chance. They are all that is left to protect the human race!" I knew how much Kayla had changed over the past few weeks, but it was nothing compared to what I had seen in her from the moment we stepped into this place. The Kayla from before she learned about this world, was gone. She was already attached to some of their kind and I could see that she felt as if it was her responsibility to protect them all, the haunted and the fallen. She was starting to put them before her in every decision she made. It started sometime before we left the Academy where her father is in charge. After her incubus half-brother and his allies attacked the Academy, we managed to leave and take shelter here. Only, everything about this place is completely different. Many of the beings that live here have earned back the privilege of being full-blooded angels. Well, some say that is a privilege; others see it as a curse. Either way, the place itself had already started to become my very own curse. From the moment Kayla stepped foot in this place, I could see her change complete faster and faster. This Academy was giving her the confidence to be who she was meant to be, and deep down, I knew it was only a matter of time before I would no longer be needed in her life. It may sound selfish, but as Kayla started her journey to save those who were left behind, I was fighting for her. I was fighting to be worthy of a Nephilim. I don’t know how much time has passed. I don’t even know what is real and what isn’t. There are times where for a matter of minutes, I’m in a dark place. The room is dirty, warm, and I’m alone. My hands and legs are bruised and I feel weak. I want to fight. I want to find my dagger and go after whoever is doing this to me, but I can’t. I feel the wards around me, but those wards are different than the ones that protected the Academy. These are dark and keep me from using my nephilim abilities. For the rest of the time, I’m always with Hunter, and we are at the Academy, but there is never anyone else around us. It’s just him and me, and everything should feel perfect, but I don’t trust any of it. It’s all too perfect and life never is.